Last weekend I took part in the workshops of Gregor Maehle. Please take the opportunity to study with him if you get the chance. In one of his lectures I found myself absorbed by the ancient world and wisdom that underpins yoga. 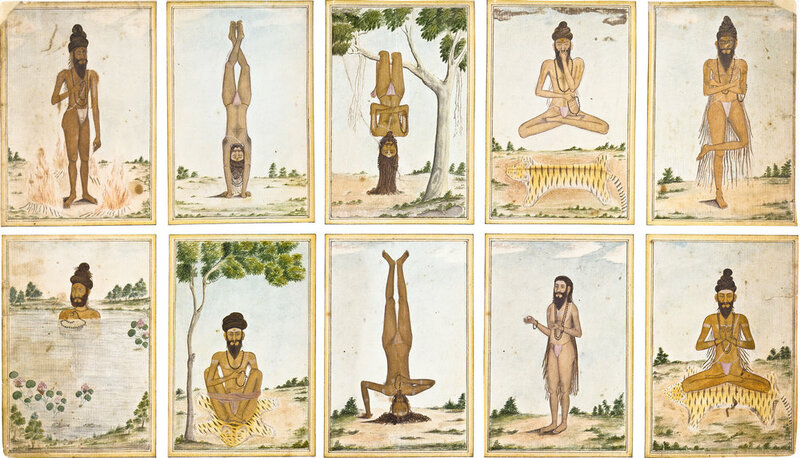 The history of yoga and the intentions of the people who shaped yoga are illuminating. Gregor talked us through the four ages of life (ashrama) and the associated yoga practice as the people in the Vedic Period (1500 BC to 500 BC) saw it. First came the Brachmacharia stage till 25 years old. This means student of life. The paramount focus in this period was on asana to build up the body; Gregor says it was a daily 90 minute practice. Next is the householder stage, Grhasta, with a family and a profession. This period, 25-50yrs old, is about having purpose and giving back to society. The idea is that you continue asana practice and add 30 minutes pranayama. Now you have a total practice of two hours. Pranayama practice completely reorganises the brain and enables the householder to juggle the many hats needed to be relevant in society. The third stage is the Vanaprastha, from 50 till 75. This means sea change/tree change when you move to the coast or move to the forest. (Gregor moved ‘back to the Bush’ at 50. He says that ‘there’s a certain magic when you hit 50’. You don’t feel that you have to go out and participate in the rat race! Yes!) Meditation is the main practice for this age and the householder graduates to councillor or spiritual guide. Ideally you add another 30 minutes to the already established practice. That’s 2 ½ hours now. The final phase is Sannyasa. In this phase there is no longer any interest in material things and all duties are handed to the next generation. This is the monk/nun stage with a simple, detached, spiritual life. When I manage to arrange my Sea Change, this is where you’ll find me… Kythera! OK, I know the flights are complicated and it is putting people off coming. I understand. My yoga sister Lisa Maarit Lischak says: ‘Us repeaters are used to the flights and we know that a bit of awkwardness pays off’. But for first-timers, it’s a bit daunting. I can only encourage you to hold your nose and dive in! You may become addicted to Kythera’s charm… Have a look at the details of both retreats here. There’s a summer situation going on, and perhaps a football syndrome; class numbers are small-to-disappearing. I cancelled two classes this week in my little home studio. Yoga studios tend to change to their summer timetable at this time of year. I may do the same. Let’s see. There are plenty of places left next week. You can see what’s available here. (I update this before posting this email.) You can book here. Lisa will be teaching at Virgin Active Chelsea on Saturdays 7th and 14th July at 10.30. If you can’t get a ticket, steal one! I’m due to teach Restorative Yoga at Yoga West on Sundays 8th and 15th July at 3.30-4.45pm. The Podcast Department of The New Yorker has: “Bikram” and the Fraught, Telling Tale of a Yoga Phenomenon. Bikram Choudhury is the subject of six programmes in the “30 for 30” podcast series tracing the rise and fall of Choudhury. I’ve listened to all of them. They are fascinating and disturbing… not a happy listen but compelling like a car crash!